There is nothing better than coming home and seeing a welcoming Christmas wreath hanging on the door. It’s one of those decorations that oozes Christmas spirit and never fails to make me smile. There are plenty of inventive types of Christmas wreath—each with different materials and designs. I have a particular soft spot for evergreen wreaths. I love the berries and pine cones nestled among the leafy display, which give them a great fresh look and an enticing festive fragrance. 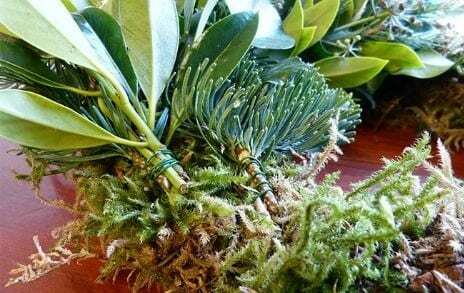 Follow this guide to discover how to make your very own stunning evergreen wreath. 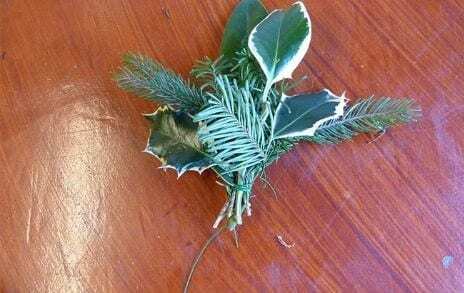 To decorate this wreath, I have used holly leaves, fir branches, ivy leaves and berries. I have also added pine cones, cinnamon sticks and dried apple slices. You can also use bay leaves, rosemary, conifer, mistletoe, dried orange slices and any branches that have berries. 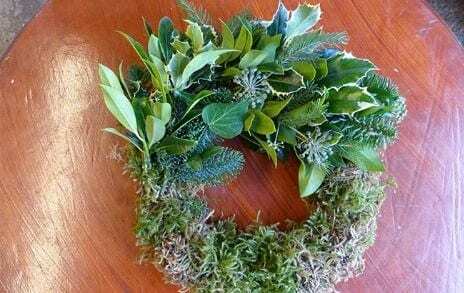 Look for evergreen leaves with interesting shapes and texture as this will ensure your Christmas wreath is interesting as well as beautiful. Begin by getting your hands on a wire ring. You can pick them up at a florist, craft suppliers or buy them online. You can also make your own out of a strong gardening wire. Tie one end of the thin florist’s wire around the top and put the wire reel to the side. Now you need a base material—I’m using moss. It’s natural and looks much better than oasis. Again, you can pick this up at a florist, craft shop or garden centre. Make sausage shapes of moss with your hands and place over the wire ring, following the rounded shape of the wire. Cover the entire ring with moss, ensuring that the moss is quite thick and evenly distributed. Then, take the wire you attached to the top earlier and coil it around the moss, pulling it tight to hold the moss in place. 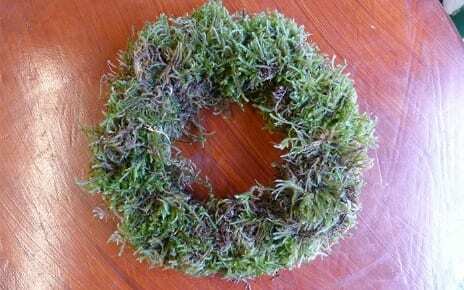 Keep going around the wreath, over the top of the moss and back under the base until everything feels nice and secure. 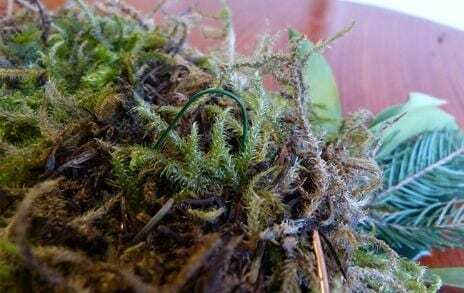 Once attached, the moss should stay firmly on the ring when you pick it up. 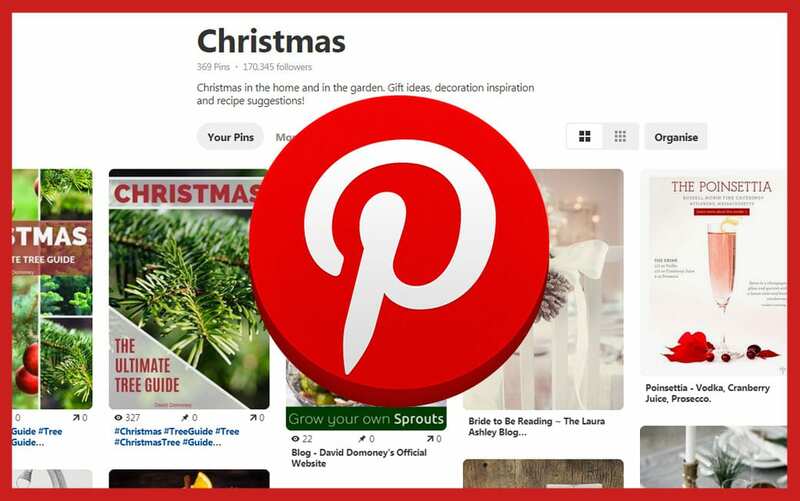 Now you can begin to add the exciting features that will light up the decoration. To do this, you need to create little bunches of greenery tied together with the wire. 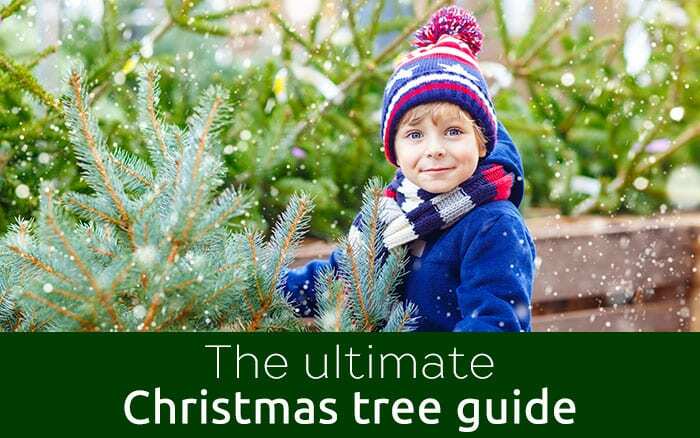 Cut short leafy sections of branches and foliage, then strip the leaves from the bottom two centimetres. Group together a few different types of branches to make a sprig and wind a length of wire around the ends to hold them together. 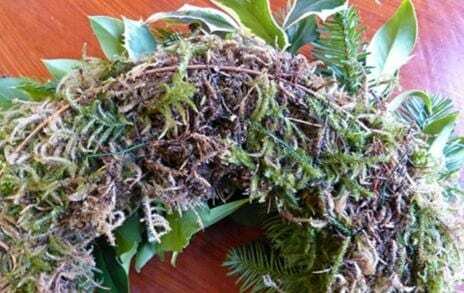 You should leave a length of wire a few inches long poking out at the bottom—this is important because it is how you will attach the sprigs to the wreath. 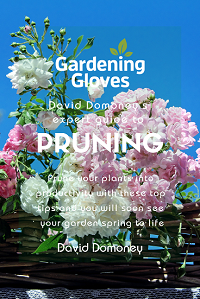 The decorative bunches can be all the same or a mixture of different leaves. 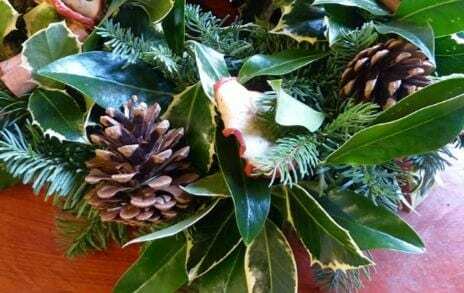 Make plenty of bunches to fill your wreath so it doesn’t leave any gaps. Next, create individual feature decorations like berries and pine cones. I’ve also tied together a few cinnamon sticks and dried apple slices. Now you are ready to assemble your Christmas wreath. 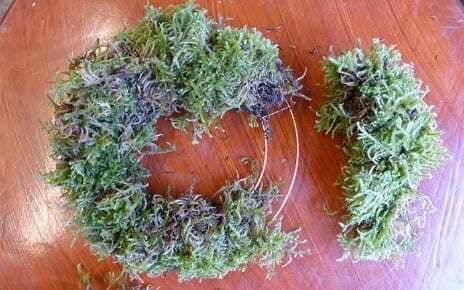 Take a bunch of your decorations and poke the long wire through the moss ring. 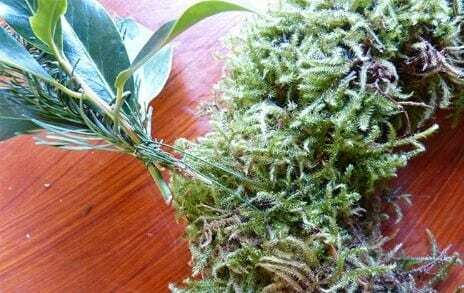 Lay the sprig flat against the moss ring with the stems facing inwards. Reach underneath and pull the wire through until it is taut. Bend the wire over and push the end back into the ring on the underside to secure the sprig to the wreath. Next, take another sprig and lay it diagonally over the stems of the first one to cover the wire, making a loose V-shape with the stems. Push the wire through, pull to tighten and secure as before. Repeat the process as you move around the ring and make sure you are always covering the wire of the previous sprig. 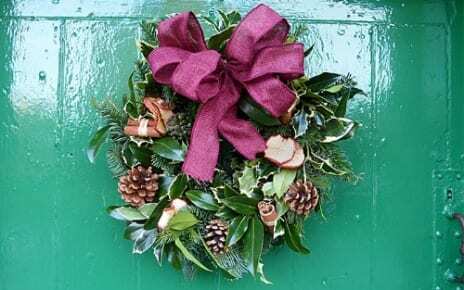 You should always have the stems pointing inwards towards the centre of the wreath, with the foliage pointing out. Simply alternate which direction they are pointing in each to make a V-shape. Once the whole wreath is covered, you can then add some feature decorations. Find small gaps and add the berries, pine cones, cinnamon sticks and apple slices. Now all you need is a bow. I’ve made one with some burlap ribbon, but you can use any suitable material. Make the bow by creating loops on top of one another that keep getting smaller. Tie in the centre with wire, leaving long ends of wire to attach it to the wreath. 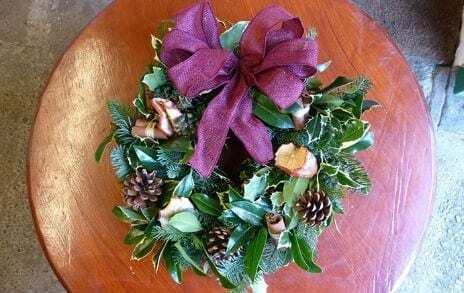 Find the top of the wreath and attach the bow as you did with the sprigs, pulling it tight and securing the wire at the back. 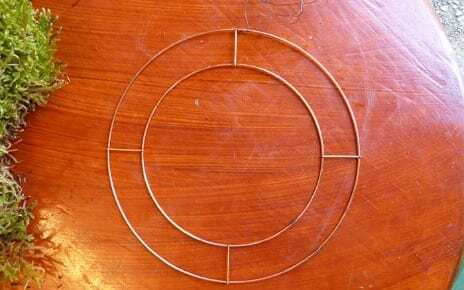 Now make a wire loop behind the bow and attach this to the ring at the base. 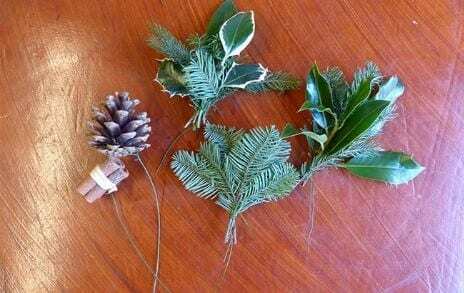 Your DIY evergreen Christmas wreath is now ready to hang! You can create a show-stopping wreath with short battery-powered outdoor lights! Attach the battery box to the back of the wreath and wind the garland around your wreath to illuminate it. 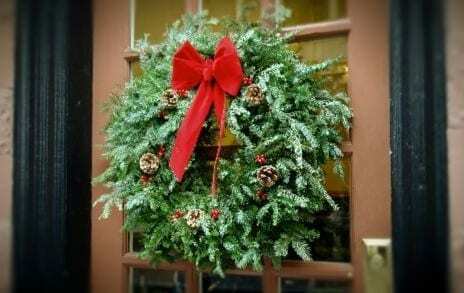 You can also create indoor wreaths for every door in the house. Look out for scented ideas too. 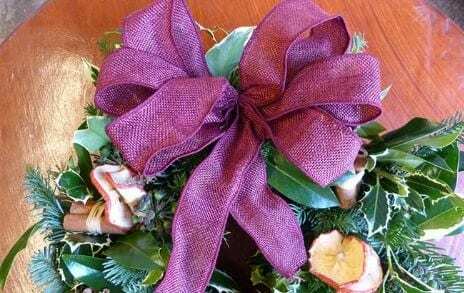 I love the fragrance of apple and cinnamon wreaths and there are loads of other possibilities too—Use orange slices with cloves or a collection of citrus fruits and bay leaves. 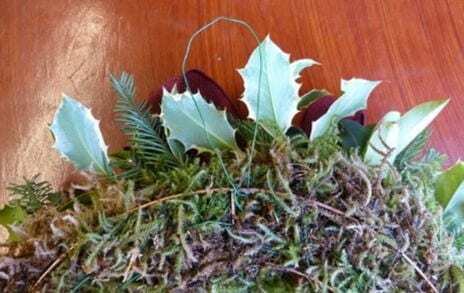 You can also make your wreath woody with twigs, pine cones and seed heads. Anything festive will do!